Maxtor - 2F040L0 MAXTOR - 40GB 5400RPM 2MB BUFFER ATA/IDE ULTRADMA-133 3.5INCH INTERNAL HARD DRIVE (2F040L0). IN STOCK. SHIP SAME DAY. Seagate - ST340014A SEAGATE - BARRACUDA 40GB 7200 RPM EIDE 2MB BUFFER DMA/ATA 100 (ULTRA) 3.5INCH FORM FACTOR LOW PROFILE (1.0INCH HIGH) INTERNAL HARD DISK DRIVE (ST340014A). IN STOCK. SHIP SAME DAY. Western Digital - WD400LB WESTERN DIGITAL - CAVIAR 40GB 7200RPM EIDE 40PIN 3.5INCH LOW PROFILE(1.0inch) HARD DISK DRIVE. WD400LB IN STOCK. SAME DAY SHIPPING. 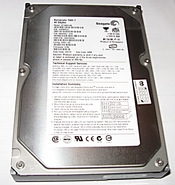 Seagate - ST340016A SEAGATE - BARRACUDA 40GB 7200RPM 2MB BUFFER DMA/ATA 100(ULTRA) 3.5 INCH LOW PROFILE(1.0 INCH). (ST340016A). IN STOCK. SHIP SAME DAY. Maxtor - 4R040L0 MAXTOR - 40GB 5400RPM 2MB BUFFER ATA/IDE ULTRADMA-133 3.5INCH INTERNAL HARD DRIVE. FACTORY RECERTIFIED. (4R040L0). IN STOCK. SHIP SAME DAY. 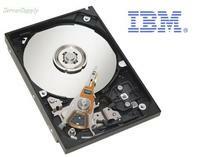 IBM - 48P7063 IBM - 40GB 5400 RPM EIDE/ATA - 100 2.5inch HARD DISK DRIVE WITH TRAY FOR BLADECENTER (48P7063). IN STOCK. SAME DAY SHIPPING. Seagate - ST340015A SEAGATE - 40GB 5400RPM EIDE HARD DISK DRIVE. 2MB BUFFER 3.5 INCH LOW PROFILE (1.0INCH)DMA/ATA100(ULTRA). (ST340015A) IN STOCK. SHIP SAME DAY. Western Digital - WDAC34000 WESTERN DIGITAL - 4.0GB 5400 RPM EIDE 40PIN INTERNAL HARD DISK DRIVE. WDAC34000 IN STOCK. SHIP SAME DAY. Quantum - QML40000LDA QUANTUM - 40GB 4500RPM 40PIN 128KB BUFFER ATA/IDE-100 (ULTRA) 3.5INCH LOW PROFILE (1.0INCH) HARD DRIVE (QML40000LDA). IN STOCK. SHIP SAME DAY. Hewlett Packard - 281748-001 HP/COMPAQ - 40GB 7200RPM IDE/ATA 40PIN ULTRA-100 3.5INCH HARD DISK DRIVE (281748-001). IN STOCK. SHIP SAME DAY. Hewlett Packard - 394916-001 HP/COMPAQ - 40GB 7200RPM 40PIN EIDE DMA/ATA-100(ULTRA) 3.5INCH LOW PROFILE(1.0inch) HARD DISK DRIVE (394916-001). IN STOCK. SHIP SAME DAY. Fujitsu - MHV2040AH FUJITSU - 40GB 5400RPM 8MB BUFFER ATA/IDE-100 44-PIN 2.5INCH ULTRA NOTEBOOK HARD DRIVE (MHV2040AH). IN STOCK. SHIP SAME DAY. Hewlett Packard - 335176-001 HP/COMPAQ - 40GB 5400RPM SMART III ULTRA ATA/100 40PIN 2MB BUFFER 3.5INCH LOW PROFILE(1.0inch) HARD DISK DRIVE (335176-001). IN STOCK. SHIP SAME DAY. Toshiba - MK4026GAX TOSHIBA - 40GB 5400RPM 16MB BUFFER ULTRA ATA-100 44-PIN 2.5INCH SLIM LINE LAPTOP INTERNAL HARD DRIVE. (MK4026GAX). IN STOCK. SHIP SAME DAY. Toshiba - MK4021GAS TOSHIBA - 40GB 4200RPM 2MB BUFFER 2.5INCH 9.5MM ATA/IDE-100(ULTRA) 44-PIN NOTEBOOK HARD DRIVE (MK4021GAS). IN STOCK. SHIP SAME DAY. Toshiba - HDD2193 TOSHIBA - 40GB 5400RPM 16MB BUFFER ULTRA ATA-100 44-PIN 2.5INCH SUPERSLIM LAPTOP INTERNAL HARD DRIVE (HDD2193). IN STOCK. SHIP SAME DAY. Seagate - ST340823A SEAGATE - 40GB 5400 RPM EIDE INTERNAL HARD DISK DRIVE. DMA/ATA 100(ULTYRA) 3.5inch LOW PROFILE(1.0 INCH) INTERNAL. ST340823A IN STOCK. SAME DAY SHIPPING. IBM - 07N8450 IBM - DESKTAR 40GB 7200RPM EIDE HARD DISK DRIVE(07N8450). DMA/ATA 100(ULTRA) 3.5inch LOW PROFILE(1.0inch). IN STOCK. SHIP SAME DAY. Hitachi - 13N6796 HITACHI - 40GB 5400 RPM 8MB CACHE 12 MS SEEK TIME EIDE/ATA 2.5inch 9.5 MM NOTEBOOK HARD DISK DRIVE (13N6796). IN STOCK. SHIP SAME DAY. SEAGATE - HARD DRIVE - ST340810A SEAGATE - 40GB 5400 RPM EIDE HARD DISK DRIVE. 2MB BUFFER DMA/ATA 100(ULTRA) 3.5 INCH LOW PROFILE(1.0 INCH).ST340810A IN STOCK. SHIP SAME DAY. Seagate - ST9402112A SEAGATE - MOMENTUS 40GB 4200RPM EIDE NOTEBOOK HARD DISK DRIVE. 2MB BUFFER DMA/ATA 100(ULTRA) 2.5 INCH LOW PROFILE(1.0 INCH). ST9402112A IN STOCK. SAME DAY SHIPPING. Hitachi - 08K1530 HITACHI - 40GB 4200RPM 2MB BUFFER ULTRA ATA-100 40-PIN 1.8INCH HARD DISK DRIVE(08K1530). IN STOCK. SAME DAY SHIPPING.